Last week, people around the world were struck with sadness, grief, and rage at the news of the deaths of Alton Sterling and Philando Castile — two black men who were killed by police in Baton Rouge, Louisiana and Falcon Heights, Minnesota, respectively. As of last Monday, five men have lost their lives to police officers, including Alva Braziel who was shot over the weekend in Houston. 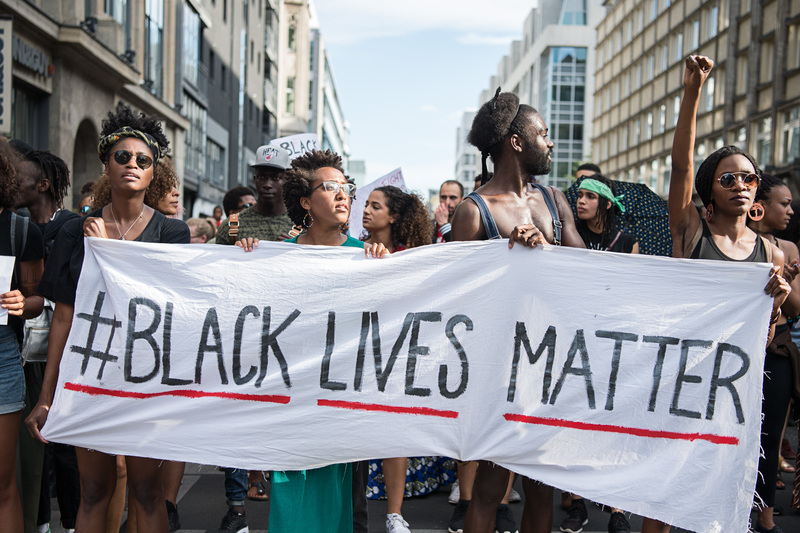 Many know about the cases of Sterling and Castile, which sparked a series of Black Lives Matter demonstrations across the country and the world, but what happened to Alva Braziel? Braziel, 38, was killed by two Houston police officers early Saturday morning at around 12:40 a.m. local time on the city's south side. According to acting Houston Police Chief Martha I. Montalvo, who spoke with The Houston Chronicle, Braziel was carrying an illegal firearm and may have been using narcotics at the time of the shooting. The officers reportedly commanded Braziel to drop his gun, but he allegedly did not follow their orders and instead pointed the gun first in the air, and then in the direction of the officers. The officers then both fired multiple times, and Braziel died at the scene. The Houston Police Department wrote in an emailed statement: "The investigation into Saturday’s officer-involved shooting incident is still in its early stages and very active. As we have stated, a male armed with a gun pointed the gun at our officers and two officers discharged their weapons to protect their lives. Early indications are the armed male might have been under the influence of a narcotic, refused all officers' commands to drop his gun and instead pointed the gun at officers." It remains unclear whether or not Braziel was indeed armed. Viewing a surveillance video of the scene taken from a nearby gas station, several people have claimed that Braziel appears to put his hands up in the air and turn around as the police vehicle arrives before he is shot. The officers were reportedly wearing body cameras, but the footage has yet to be released. According to ThinkProgress, another shooting occurred in Houston over the weekend in a "majority-white neighborhood" wherein an armed individual fired multiple rounds at police officers, who handled the situation without killing the individual. Bustle reached out to the Houston Police Department. They did not comment on the surveillance footage, and noted that the officers' body camera footage would be handled in the same way as other evidence, and would only be released at the end of the investigation. The department wrote in its statement, "We extend condolences to the man's family and regret his loss of life. We appreciate everyone understanding the early facts of the case and know our officers were protecting their lives and our neighborhoods."